Motoko Kusanagi is one of the main character in Masamune Shirow’s Ghost in the Shell series. 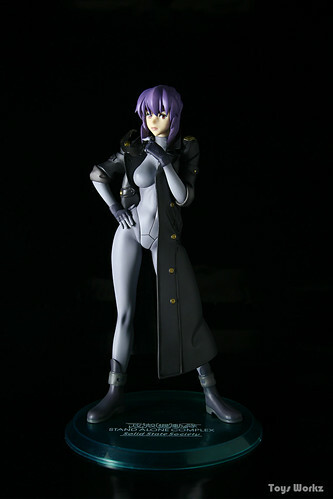 This figure is based on her appearance in the movie Ghost in the Shell S.A.C. Solid State Society. 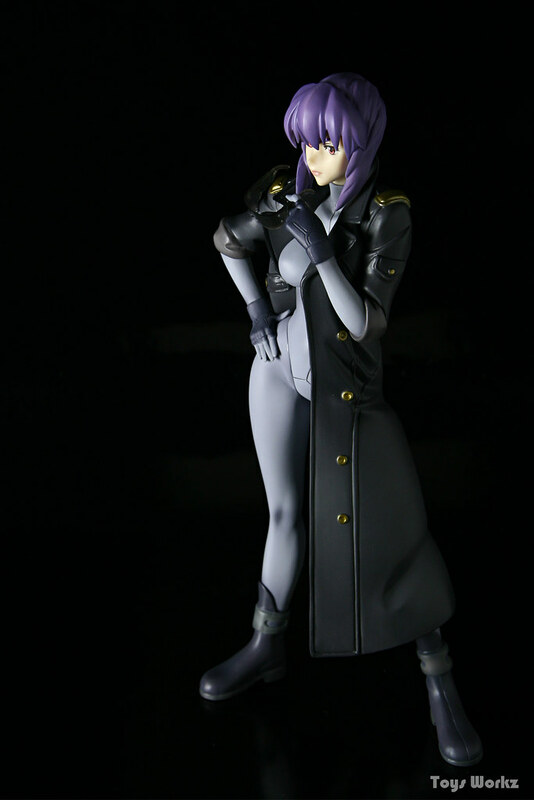 There are two Motoko figures that I like, this is one of them, the other is the one release by Alter last year if I not mistaken, where she’s holding a handgun. 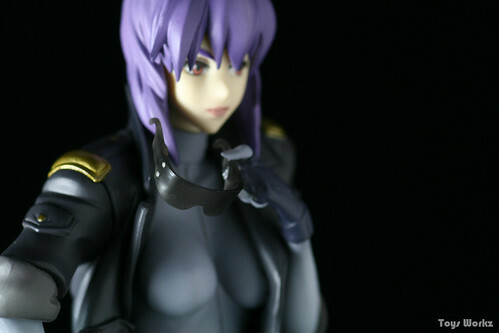 This figure is suppose to be Amazon Japan limited if I am not mistaken, but somehow my local shop manage to get a few of her. I have been tempted to get her for quite sometime but decided to wait for my local shop sales before I grab her, fortunately she was still available during the recent sales. Wish I had a matrix like background for the shoot, but a black bg is all I have that suits her. She came with a transparent green base with the name of the movie she’s based from on it. She can stand perfectly well without the base though. The one thing that really attract me to this version of her is the trench coat, it just looks so cool. 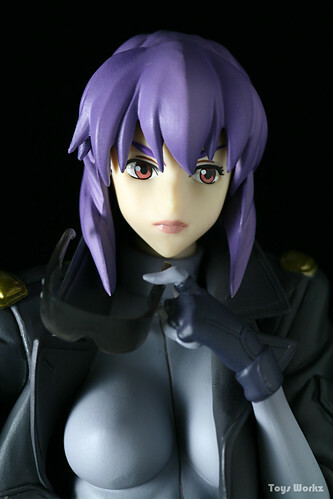 Detail and sculpt are pretty good, and the paint job as well, but then she doesn’t have a lot of colors ^^. The sunglasses is kinda plain though, and kinda scratch too. Not much shots this time around, she doesn’t really have a lot of angle that I can shoot from anyway. Well for more photos of her head over to lu-k’s blog. 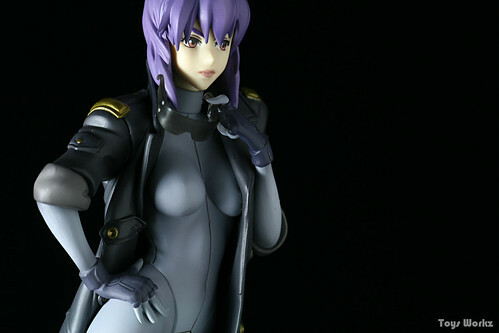 Well I am glad I manage to get her cheaper due to sales ^^. 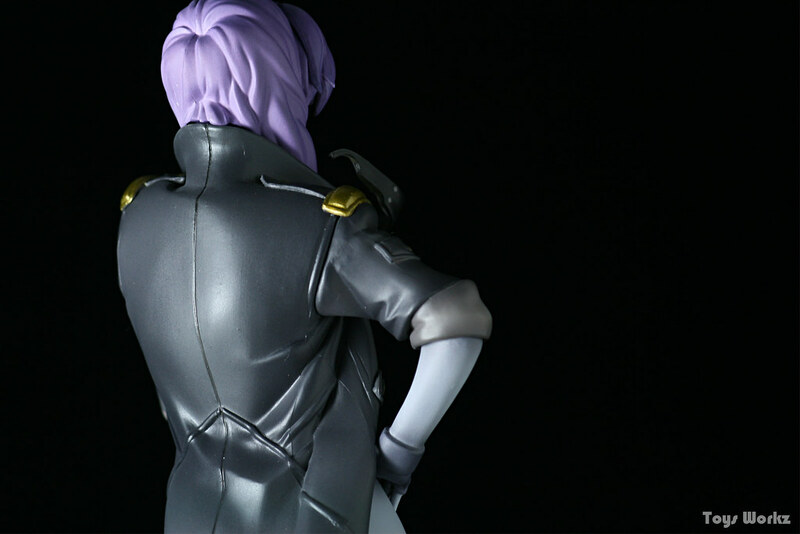 I find that during sales, it’s the time when I start buying figures that I never though I’ll get or figures that I decide to skip when released due to budget reason. 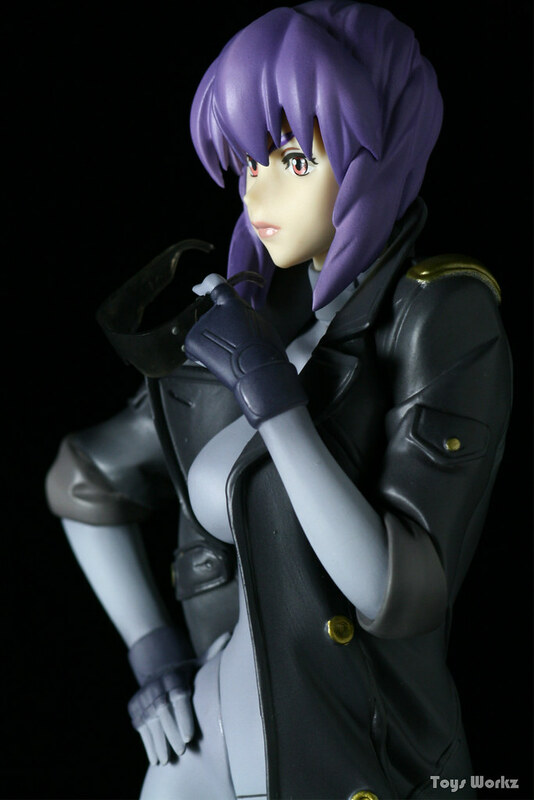 It’s also the time when I spend more on figures than I should xD. This entry was posted in Anime, Figure Reviews, Model Kits, Photography, Rant on June 5, 2018 by Rosemary Curtis.